The lovely, subdued paintings of Helene Schjerfbeck are interspersed here with blank pages of fine white paper, which can be used as a journal or a guestbook to provide a handsome, lasting written record. 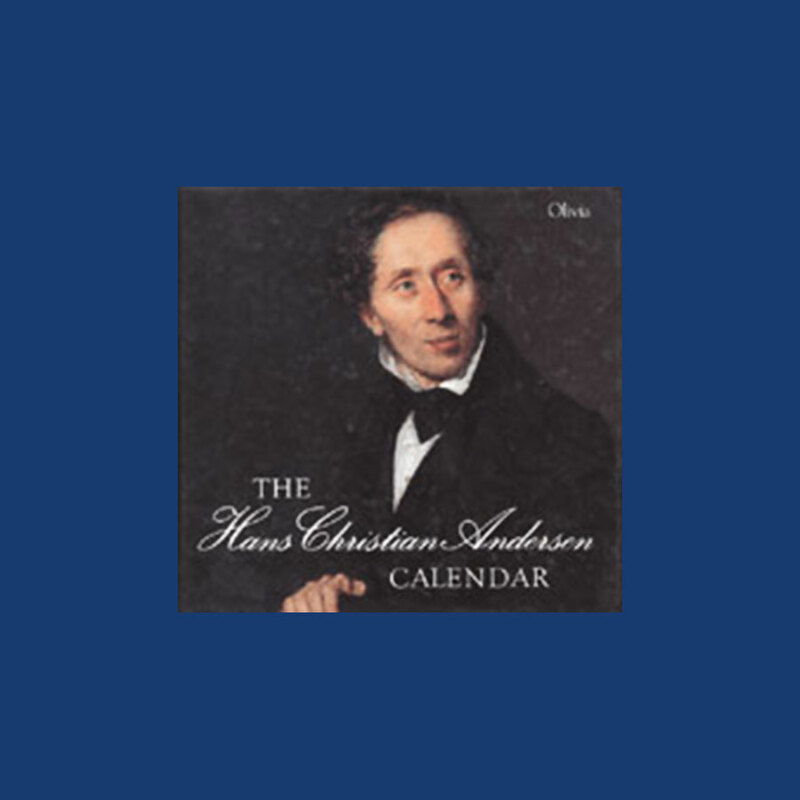 HANS CHRISTIAN ANDERSEN CALENDAR, THE. Illustrations: 1 Color Illustrations. 16 B&W Illustrations. Famous for his fairy tales, HCA was also a very fine draughtsmman. This lovely and useful calendar book is decorated with sketches and pen and ink drawings from Andersen’s travels within Europe and the Middle East. Also included is a text about Andersen’s travels and his artwork. Calendar of drawings by Denmark’s great storyteller Hans Christian Andersen. He is loved for his immortal fairy tales. But his merits as a travel author are by no means insignificant. From his numerous travels he brought back his visual experiences stored in pen and ink sketches. A selection of these drawings have become the mark of this calendar, in which each of the twelve months of the year has been illustrated with a poetic sketch. LOUISIANA - MUSEUM FOR MODERNE KUNST - MUSEUM OF MODERN ART. A beautiful birthday calendar with a cover showing Henry Moore’s reclining figure. Accompanying the dated pages you will find reproductions of Scandinavian artists like Karl Isakson , Ejler Bille, Jørgen Haugen Sørensen, Asger Jorn, Egill Jacobsen, Henry Heerup, Richar Mortensen, Per Kirkeby, Carl-Henning Pedersen and Bjørn Nørgaard. International artists include among many Sam Francis, Richard Serra, Andy Warhol, Alberto Giacometti, Jean Arp, Frank Stella, Claes Oldenburg, Francis Bacon, Joan Miro, Pablo Picasso, Roy Lichtenstein, Max Bill, Henri Laurens, Alexander Calder, George Baselitz, Pierre Alechinsky. Beautiful reproductions of still life flower paintings by Danish and international painters like J.L. Jensen (1800-1856), O.D. Ottesen (1816-1892), Hermania Neergaard (1799-1875), Karl Adolf Senff (1785-1863), J.L. Camradt (1779-1849).